Monocytes/macrophages are key players in innate and adaptive immunity. Upon stimulation, they secrete prostanoids, which are produced by cyclooxygenase from arachidonic acid. Prostanoids influence inflammation and immune responses. We investigated the effect of propofol on prostaglandin E2 and thromboxane B2 production by the human monocytic cell line THP-1. The THP-1 cells were cultured with lipopolysaccharide (1 μg ml−1) in the presence of clinically relevant sedative/anesthetic concentrations of propofol (0–30 μM) for 18 h, and the concentration of prostaglandin E2 and thromboxane B2 in culture supernatants was measured using an enzyme immunoassay. Intracellular cyclooxygenase protein expression was measured by flow cytometry. Cyclooxygenase activity was assessed by measuring production of prostaglandin E2 and thromboxane B2 by THP-1 cells after arachidonic acid (10 μM) substrate provision. Propofol decreased the production of prostaglandin E2 (75.4 ± 6.4 pg ml−1 at 0 μM vs. 28.5 ± 11.2 pg ml−1 at 30 μM; P < 0.001) and thromboxane B2 (282.4 ± 79.2 pg ml−1 at 0 μM vs. 40.4 ± 21.7 pg ml−1 at 30 μM; P < 0.001). The inhibition was not due to the decreased cyclooxygenase protein expression because intracellular staining of this enzyme was not affected by propofol. After arachidonic acid provision, prostaglandin E2 and thromboxane B2 production from activated THP-1 cells was significantly (P < 0.001) decreased with propofol, indicating direct suppression of cyclooxygenase activity with propofol. Propofol may modulate inflammation via the suppression of cyclooxygenase activity. Through the inhibition of prostanoid production, propofol may enhance immune responses. Les monocytes / macrophages sont des acteurs importants de l’immunité innée et adaptative. Lorsqu’ils sont stimulés, ils sécrètent des prostanoïdes, lesquels sont produits par la cyclo-oxygénase à partir de l’acide arachidonique. Les prostanoïdes, quant à eux, jouent un rôle dans l’inflammation et les réponses immunitaires. Nous avons évalué l’effet du propofol sur la production de prostaglandine E2 et de thromboxane B2 dans la lignée cellulaire monocytaire humaine THP-1. Les cellules THP-1 ont été cultivées avec du lipopolysaccharide (1 μg · ml−1) en présence de concentrations anesthésiques / sédatives cliniquement pertinentes de propofol (0-30 μM) pendant 18 h, et la concentration de prostaglandine E2 et de thromboxane B2 dans les surnageants de la culture a été mesurée à l’aide d’un dosage séro-immunologique enzymatique. L’expression protéinique de la cyclo-oxygénase intracellulaire a été mesurée par cytométrie en flux. L’activité de la cyclo-oxygénase a été évaluée en mesurant la production de prostaglandine E2 et de thromboxane B2 par les cellules THP-1 en présence d’un substrat d’acide arachidonique (10 μM). Le propofol a réduit la production de prostaglandine E2 (75,4 ± 6,4 pg · ml−1 à 0 μM vs. 28,5 ± 11,2 pg · ml−1 à 30 μM; P < 0.001) et de thromboxane B2 (282,4 ± 79,2 pg · ml−1 à 0 μM vs. 40,4 ± 21,7 pg · ml−1 à 30 μM; P < 0.001). L’inhibition n’a pas été causée par l’expression protéinique réduite de la cyclo-oxygénase car la coloration intracellulaire de cette enzyme n’a pas été affectée par le propofol. Après l’addition d’un substrat d’acide arachidonique, la production de prostaglandine E2 et de thromboxane B2 à partir des cellules THP-1 activées a été significativement réduite (P < 0.001) avec le propofol, ce qui indique la suppression directe de l’activité de la cyclo-oxygénase par le propofol. Le propofol pourrait moduler la réponse inflammatoire en supprimant l’activité de la cyclo-oxygénase. En inhibant la production de prostanoïdes, le propofol pourrait améliorer les réponses immunitaires. Propofol is an anesthetic frequently used when critically ill patients are sedated in the intensive care unit.1, 2, 3 Since these patients may already be immunosuppressed by pre-existing diseases, surgical trauma, and/or overwhelming infection,4,5 even small adverse effects on immunity, due to the sedative, could be devastating for such patients. Monocytes–macrophages are key effectors in the innate immune system.6 Macrophages also have a role in the adaptive immune system by presenting antigen peptides to T cells.6 After activation by bacterial products, monocytes–macrophages may produce numerous kinds of molecules, including cytokines, chemokines, nitric oxide, and oxygen radical species.6 Propofol is reported to down-regulate the production of pro-inflammatory cytokines, nitric oxide, and reactive oxygen intermediates.1,2,7, 8, 9, 10, 11 Prostanoids, including the prostaglandins and thromboxanes, are also produced by monocytes–macrophages,6,8,12, 13, 14 but the effect of propofol on the production of prostanoids by these cells is not well documented. The aim of the present study was to evaluate propofol’s effect on PGE2 and TXA2 production using the human monocytic cell line THP-1. The following chemicals and proteins were used: propofol (2,6-di-isopropylphenol) (Sigma–Aldrich); arachidonic acid (AA) and lipopolysaccharide (LPS; Escherichia coli 0111:B4) (St. Louis, MO, USA); SC-560 and NS-398 (Cayman Chemical, Ann Arbor, MI, USA); anti-COX-1 (AS70)-fluorescein isothiocyanate (FITC)/anti-COX-2 (AS67)-phycoerythrin (PE) antibody cocktail, and Annexin V-PE (BD Pharmingen, San Jose, CA, USA). The THP-1 cells from the American Type Culture Collection (ATCC) were cultured at 37°C in 5% CO2 in RPMI 1640 (Sigma) containing 2-mercaptoethanol 55 μM (Gibco, Grand Island, NY, USA), penicillin 100 μg ml−1, and streptomycin 100 μg ml−1, and supplemented with 10% fetal calf serum (FCS) (endotoxin <10.0 EU ml−1) (HyClone, Logan, UT, USA) (RPMI complete medium). THP-1 cells (5 × 106/ml) were either stimulated with LPS 1 μg ml−1 or left unstimulated in the absence [(dimethylsulfoxide) (DMSO)] or the presence of propofol 0–30 μM. These concentrations encompass clinically pertinent sedative-anesthetic concentrations.19 In some experiments, NS-398 (a specific COX-2 inhibitor) 20 μM was included in the culture medium. After 18 h of culture, the cells were centrifuged (400 g) at 4°C for 5 min; supernatants were stored at −80°C for PGE2 and TXB2 concentration determination, and cell pellets were analyzed for Annexin V and intracellular COX-1–COX-2 staining. The concentration of PGE2 and TXB2 was measured by an enzyme immunoassay (EIA) (Cayman Chemical Co., Ann Arbor, MI, USA) according to the manufacturer’s instructions. This assay is based on the competition between a PGE2 (or TXB2) and a PGE2 (or TXB2)–acetylcholinesterase conjugate for a limited amount of PGE2 (or TXB2) monoclonal antibody. We measured TXB2 instead of TXA2, because the latter is rapidly hydrolyzed non-enzymically to a stable prostanoid TXB2. All samples were measured in duplicate. These EIA kits are very specific, with minimum cross-reactivity to non-targeted prostanoids. The detection limits for PGE2 and TXB2 are 15 and 45 pg ml−1, respectively. Calculations of the prostanoid concentrations were completed using software provided by Cayman. Cell viability was assessed by counting the Annexin V-positive (necrotic and apoptotic) cells. After the cells were washed with phosphate-buffered saline (PBS), they were incubated for 15 min with Annexin V-PE in Annexin Binding buffer (BD Pharmingen) at room temperature in the dark. The Annexin V-positive cells were detected using flow cytometry, and cell viability was determined by calculating the percentage of Annexin V-negative cells among all collected cells without gating. Intracellular COX-1 and COX-2 were stained according to a previously described protocol.20 After the cells were washed with PBS, they were fixed and made permeable with Cytofix/Cytoperm (BD Pharmingen) for 20 min at room temperature. The permeable cells were washed with Perm/Wash (BD Pharmingen) and were incubated for 30 min with an anti-COX-1-FITC–anti-COX-2-PE antibody cocktail at 4°C in the dark. The cells were then washed with the Perm/Wash and were subjected to flow cytometry. Isotype control antibodies were used to determine background fluorescence. The fluorescent intensity of COX in THP-1 cells was measured using a flow cytometer (BD LSR, BD Biosciences Immunocytometry Systems, CA, USA). The flow cytometer was equipped with a 488-nm argon laser; the filter settings for FITC and PE were at 530 and at 585 nm, respectively. At least 10,000 cells were collected for analysis. The amount of COX protein expression was estimated as the mean fluorescent intensity of COX-positive cells multiplied by the percentage of COX-positive cells. COX activity was determined according to previously reported studies.21,22 THP-1 cells were stimulated with LPS 1 μg ml−1 for 18 h to induce COX-2 protein expression, or they were left unstimulated. The cells were then washed three times with PBS. The cells (5 × 106/ml) were then provided AA 10 μM as a COX substrate and were incubated at 37°C in 5% CO2 in RPMI complete medium in the absence (DMSO) or presence of propofol for 30 min. Culture supernatants were collected and stored at −80°C for measurement of PGE2 and TXB2. In some experiments, SC-560 (a non-selective COX inhibitor) 1 μM or NS-398 (a selective COX-2 inhibitor) 20 μM was included in the culture medium. Results are expressed as means ± SD. One-way analysis of variance with Bonferroni’s correction was used for all comparisons. The data were analyzed using GraphPad Prism (GraphPad Software, Inc., San Diego, CA, USA), and a P < 0.05 was considered statistically significant. Without LPS stimulation, PGE2 and TXB2 production was low (Fig. 1). After stimulation, the concentration of both PGE2 and TXB2 increased dramatically; both were significantly decreased with the clinically pertinent concentrations of propofol. Although there was a small but significant decrease in viability of the THP-1 cells (decreased percentage of Annexin V-negative cells) after LPS treatment, propofol did not affect their viability to any significant extent. The expression of COX-1 protein was similar, irrespective of LPS stimulation or propofol treatment (Fig. 2). The THP-1 cells barely expressed COX-2 without LPS stimulation, whereas COX-2 protein levels were increased with stimulation, indicating the inducible nature of this enzyme. Clinically relevant concentrations of propofol did not alter LPS-induced COX-2 protein expression. In both LPS-untreated and LPS-treated cells, the eicosanoid production was very small without AA provision (Fig. 3). In LPS-untreated cells, provision of AA resulted in a significant increase in the production of PGE2, while such an increase was not noted with TXB2. In LPS-treated cells, both PGE2 and TXB2 production was significantly increased after provision of AA. In LPS-untreated cells, there was a small but significant suppression of PGE2 production with propofol, whereas such propofol-induced suppression was not detected with TXB2. Treatment with SC-560, a non-selective COX inhibitor, suppressed the PGE2 production. In LPS-treated cells, propofol significantly suppressed both PGE2 and TXB2 production after provision of AA. After treatment with NS-398, a potent, highly selective-COX-2 inhibitor which halts the COX-2 activity, there remained very low levels of PGE2 and TXB2 production, which is due primarily to COX-1 activity. The main finding of the study revealed that propofol, in clinically relevant concentrations, inhibited prostanoid (PGE2 and TXB2) production in human monocytic cell line THP-1. The study showed that the inhibitory effect was not due to cytotoxicity of propofol, because the proportion of Annexin V-positive cells (i.e., necrotic and apoptotic cells) did not increase with propofol. The mechanism of propofol-induced inhibition of production of PGE2 and TXB2 was considered. Since both PGE2 and TXB2 production was suppressed, it is likely that the suppression is at the level of COX or upstream of COX. We first examined whether COX protein expression was suppressed by propofol, because propofol is reported to influence a number of signal transduction molecules that affect COX-2 expression.23, 24, 25 As shown in Fig. 2, propofol did not affect either COX-1 or COX-2 expression, precluding the possibility that the inhibitory effect of propofol on prostanoid production is via an inhibition of COX protein expression. Another possible mechanism is that propofol suppresses the production of AA, the substrate of COX. AA is produced from cell membrane via the action of cPLA2, the activity of which is affected by intracellular calcium concentrations and/or by the phosphorylation status of the enzyme induced by MAPKs,16, 17, 18 both of which are reported to be affected by propofol.24, 25, 26 To circumvent the effect of AA availability, we provided THP-1 cells with a substrate of COX (i.e., AA) and measured the production of the end products of COX (i.e., PGE2 and TXB2). The results clearly showed that propofol suppressed the production of these prostanoids from activated THP-1 cells. Thus, it is concluded that propofol suppresses COX enzyme activity. We tested the following concentrations of propofol; 5 μM (0.9 μg ml−1), 10 μM (1.8 μg ml−1), and 30 μM (5.3 μg ml−1). 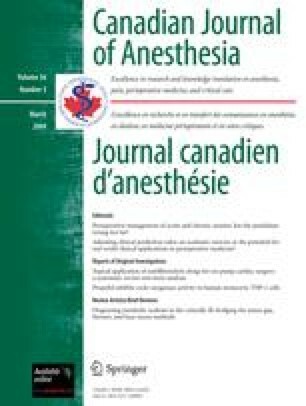 A previous study showed that the plasma concentrations of propofol for moderate sedation (no anxiety, strong relaxation, slow response to painful stimulation) and for deep sedation (strong sleepiness, slurred speech, slow or no response to painful stimulation) are 0.5 ± 0.2 and 1.4 ± 0.6 μg ml−1, respectively.19 Therefore, the 5, 10, and 30 μM concentrations of propofol may correspond to the plasma concentrations achieved during moderate sedation, deep sedation, and anesthesia,32 respectively. What are the clinical implications of inhibiting COX activity with propofol in the monocytic cell line THP-1? Since prostanoids can promote inflammation,14,33 propofol, via its inhibition of prostanoid production, could be an anti-inflammatory anesthetic.14 However, in selected cases, prostanoids are also reported to inhibit inflammation via the regulation of the actions of cytokines that initiate the inflammatory cascade.14,33,34 Thus, it may be more appropriate to state that propofol can modulate inflammation via the suppression of COX activity. TXA2 is a pro-coagulant, and increased production of TXA2 from monocytes–macrophages in response to AA is implicated in the enhanced thrombosis and vascular injury in diabetic patients.35 Decreased TXA2 production with propofol might be beneficial during the perioperative period when heightened coagulation may become a problem.36 PGE2 reportedly influences immune responses.37, 38, 39, 40, 41 For example, PGE2 has been shown to cause immunosuppression by inhibiting LPS-induced interleukin (IL)-12 production by monocytes, decreasing the IL-2-driven proliferation of T cells, and/or suppressing interferon-γ production by natural killer cells and T cells.37, 38, 39, 40, 41 Therefore, it is possible that propofol, via inhibition of COX-2 activity and PGE2 production, mitigates immunosuppression frequently seen in patients during the perioperative period.4,5 However, these possibilities should be validated in patients undergoing the long-term use of propofol for sedation. One likely reason for the decreased prostanoid production by activated THP-1 cells with propofol is the inhibition of COX activity; however, other possibilities, such as the deprivation of COX substrate by propofol, cannot be ruled out in the present study. The fact that we used the human monocytic cell line rather than human monocytes is another limitation of the study. Cell lines have mutations and their physiology may differ from normal cells. Further research with human monocytes will be needed. This study was supported by institutional departmental sources.